As some of you may know, I was computer scientist before I was a user experience designer. Because I was always on the computer, I was persuaded by an 8th grade teacher to enroll in the one high school computer science class when I entered the 9th grade, and I loved it so much that I took it every year thereafter until I graduated. It was my computer science teacher Charles Rice who encouraged me to look into Carnegie Mellon’s School of Computer Science, where I eventually applied, was accepted, and three weeks into freshman year completely hated. I stuck it out for three semesters before switching to Professional Writing, ultimately picking up a double-major in Human-Computer Interaction and subsequently getting a Master’s degree in the same. But wow, was I a computer science geek. My very popular, athletic, non-techie best friend in high school still insists that she always knew where to find me in the school building — the computer lab. Today as I was poking around my external hard drive, I happened upon some old homework that I guess I saved off of my old Performa 6300. I don’t know how I managed to hold onto it all these years, but I’m so glad that I did. For the third experiment we had to construct a 3-input AND gate using the 7408 chip. We could only have one wire to the LED and we were not supposed to have more than one wire from each switch, but that was my first experiment. I purposely wired the board improperly for my first experiment to see why we were not allowed to have two wires coming from one switch. So I put 14’s wire to the power, 7’s wire to the ground, 1 and 2’s wires to the first and second switches. Because we were trying to create a 3-input AND gate, I put 3’s wire to the third switch instead of the the LED. Then, from the same switch that 3 was connected to, I linked a wire to the LED. Even though we were told not to link two wires from a switch, when I did so, I created a perfect 3-input AND gate. Only when all three switches were on did the LED turn on. The purpose of this experiment was to understand how a flip flop works. We did this by producing a flip flop by wiring chip 7400 (with NAND gates). After wiring the chip we put both switches in the 1 position (on). Then to store a 1, we moved the set switch to 0 then to 1. To store a 0 we moved the reset switch to 0 then to 1. This experiment demonstrated how a flip flop works. One switch set the LED while the other reset it once switched to its off position and then to its on position. This experiment revealed how a computer counts using binary numbers and how digits are represented using a display. We wired a 7493 chip and recorded the status of the input LEDs and the appearance of the display symbol each time the pulser was pushed. 1. Which LED is on the most? They are all on the same amount of times. 2. Which LED will burn out first? Why? All the LEDs will burn out at around the same time since they are all on the same amount. 3. Which display LED is on the most? Display LED #4 is the one that is on the most. 4. Design an efficient display for alphabetic characters. This experiment demonstrated how the pulser can control the appearance of both the input LEDs and the display LEDs depending on the number of times the pulser is pressed. The input LEDs and the display LEDs also work in accordance. This experiment demonstrated how the three basic gates (AND, OR and NOT gates) can be incorporated into one chip in order to simplify circuits. We wired a 7400 chip (a NAND gate) and recorded the truth tables for each basic gate so that we could prove that all gates existed within the chip. This experiment demonstrated how a three basic gates can be incorporated into one chip, the 7400 NAND gate chip. When you wire the chip to create an AND, OR or NOT gate, the gates will still operate without a wire to the ground. While a NOT gate is wired, it will still operate with only one wire going to the switch, but in the others the wires to the switches must be in place. This experiment demonstrated how chips can be used for mathematical proof by wiring a combinatoric circuit to achieve the results of a Boolean logic expression. We created a combinatoric circuit by wiring three chips in pairs, 7432 and 7404, and 7404 and 7408. We proved Demogan’s Law which says that NOT (A or B)= NOT A and NOT B and that NOT (A and B)=NOT A or NOT B. This experiment proved that mathematical equations can be proved by wiring combinatoric circuits. The truth tables for both sides of the equations were the same, therefore the equations were accurate. Unfortunately this is all I saved. Can’t seem to find any exe’s or code. But if I do, you know I’ll post it here! 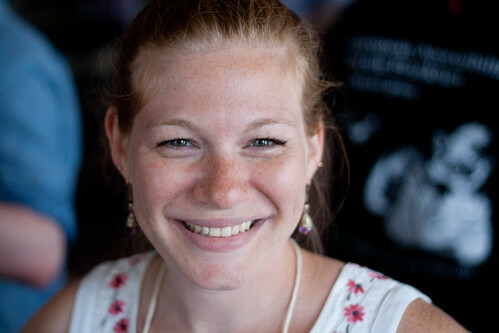 Evelyn Tiffany – dedicated servers programmer.